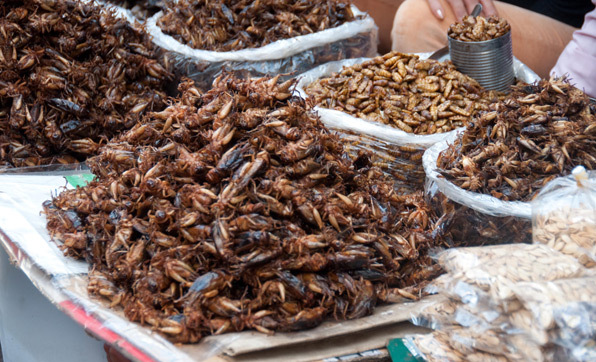 Explore the colonial capital city of Phnom Penh, visit the floating villages of Lake Tonle Sap, uncover the incredible temples of Angkor Watt, the enigmatic faces of Bayon, the imposing Terrace of the Elephants, the scenic Ta Prohm monastery, the “River of 1.000 Lingas on Kulen mountain, the famous temple of Bantey Srey called Citadel of the Women and the remains of the Khmer Empire and more! Meet our local representative guide and driver then we commence a half day excursion of the capital city with a fist visit to The Royal Palace, constructed over a century ago to serve as the residence of the King of Cambodia, his family and foreign dignitaries, as a venue for the performance of court ceremony and ritual and as a symbol of the Kingdom. It serves to this day as the Cambodian home of King Norodom Sihamoni and former King Norodom Sihanouk. 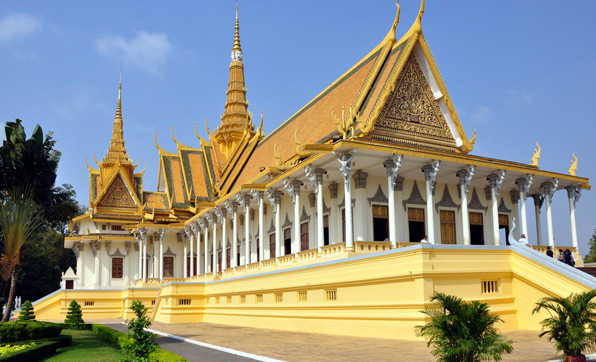 The Royal Palace complex consists of several buildings, structures, gardens and especially Silver Pagoda sitting next to the Royal Palace, built in 1962 famous for its lavish decorations of silver paved floor and several Buddha statues made from precious metals & stones. Followed by visiting to a nearby National Museum, dedicated by King Sisowath in 1920; with over 5000 objects are on display including Angkorian era statues, lingas and other artifacts, most notably the legendary statue of the ‘Leper King.’ It not only emphasizes Angkorian artifacts but also display a good collection of pieces from later periods, including a special exhibition of post-Angkorian Buddha figures. Before dinner, we embark on boat for 01 hour sunset and discover nightlife of fisherman along the riverbank. After breakfast, we take a short flight to Siemreap City, one of the most famous travel destinations. On arrival, you will be met and transferred to restaurant for your lunch. We spend the rest of the day visiting to Angkor site, a UNESCO World Heritage, is home to the magnificent Khmer temple ruins of Angkor, including the legendary Angkor Wat, Bayon and dozens of other ancient ruins of the Angkorian era (9th-13th century) Khmer Empire. We start with a first visit to the former capital Angkor Thom home to dozens of temples including the enigmatic faces of Bayon, the imposing Terrace of the Elephants, and the three-tiered Baphuon. We end the excursion by climbing up Bakheng Mountain for stunning sunset and panoramic views of Angkor Wat and its environs. Buffet dinner with Apsara Dance Show in local restaurant. After breakfast, we commence a day tour of exploring the monastic complex of Preah Khan whose name means « Sacred Sword », the small island temple of Neak Pean, and then Ta Som. 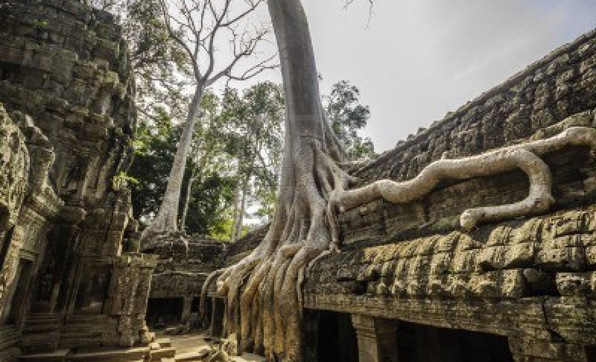 These three temples were built by King Jayavarman VII and illustrate the preeminence of Mahayana Buddhism during his reign. Our tour is follow by Ta Prohm Temple unlike most of the other Angkor temples, Ta Prohm has been left just it was founded: the photogenic and atmospheric combination of trees growing out of the ruins and the jungle surroundings have made it one of Angkor's most popular temples with visitors. Late afternoon, visit the famous Angkor Wat, built for king Suryavarman II in the early 12th century as his state temple and capital city. The largest and best-preserved temple at the site, it is the only one to have remained a significant religious centre - first Hindu, then Buddhist - since its foundation. After long day tour, this evening we experience 01 hour foot massage in Khmer traditional style. After breakfast, drive to the Kulen range and take a walk through the forest (45 minutes) to reach Kbal Spean, the “River of 1.000 Lingas” where the symbol of the Hindy god Shiva has been repeatedly chiseled into the rocky riverbed. It was believed that the lingas spiritually fertilized the waters that irrigated the rice fields below. Visit the famous temple of Bantey Srey “the Citadel of Women”. This small pink sandstone temple (late 10th century) is considered as the crown jewel of classical Khmer art with the delicate beauty of its carvings. Continue to Bantey Samre (mid 12th century), which has been admirably restored. On the way back, we visit some local village and see how local make sugar palm. 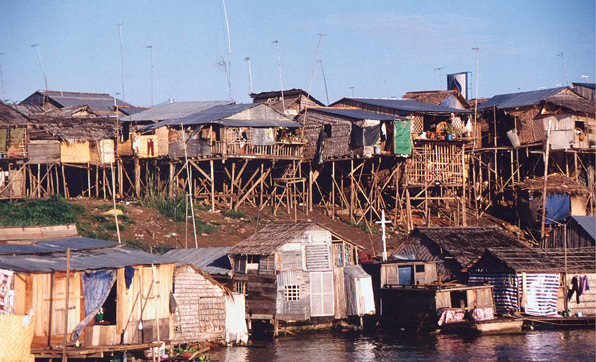 After breakfast, drive to the fishing village of Chong Kneas and take a boat trip on the Tonle Sap Lake to discover the floating villages and the traditional fishing techniques. Return to Siem Reap. En route, stop at the “Chantiers-Ecole, Les Artisans d’Angkor”, a vocational training center, which revives the classic Cambodian techniques and styles of wood and stone carving and polychrome. Before lunch stroll around the local market for last minute shopping. Then transfer to Siem Reap airport for departure flight to another destination. 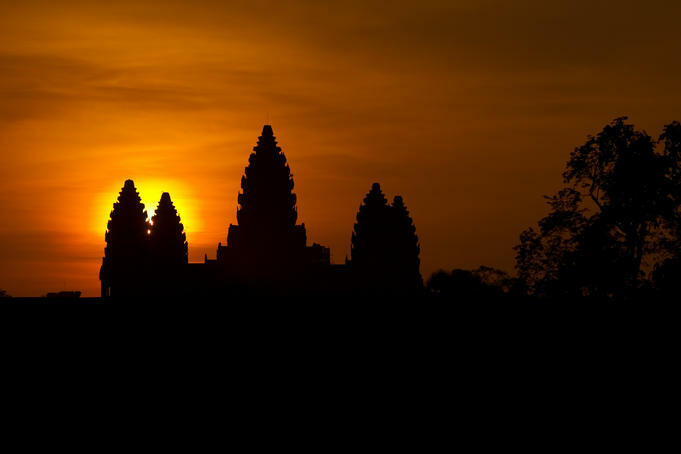 Domestic flight and airport tax Phnom Penh – Siem Reap in economy class. Traditional wooden boat for cruise in Tonle Sap Lake. 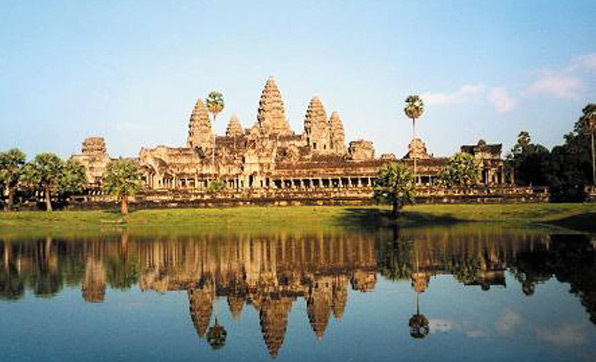 International air tickets to/from Siem Reap. 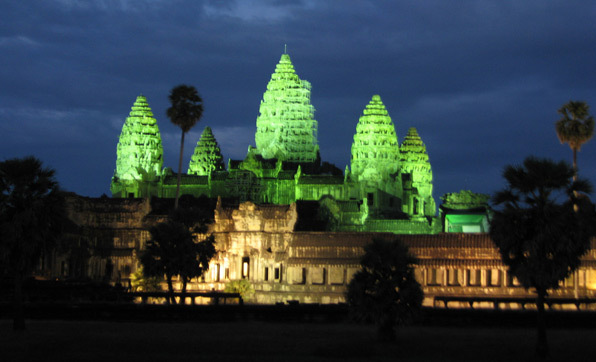 Departure airport tax in Siem Reap at USD 25.- per person. Cambodian visa fee (USD 20 + 1 ID-photo size). Other personal expenses, all kind of insurances. Tips for guide 3USD per day per person. The boat trip on the Ton Le Sap Lake is not recommend during the dry season from March to July due to the low level of the water and the bad smell surrounding the area. In this sense we will propose a tour to visit Silk Farm instead.